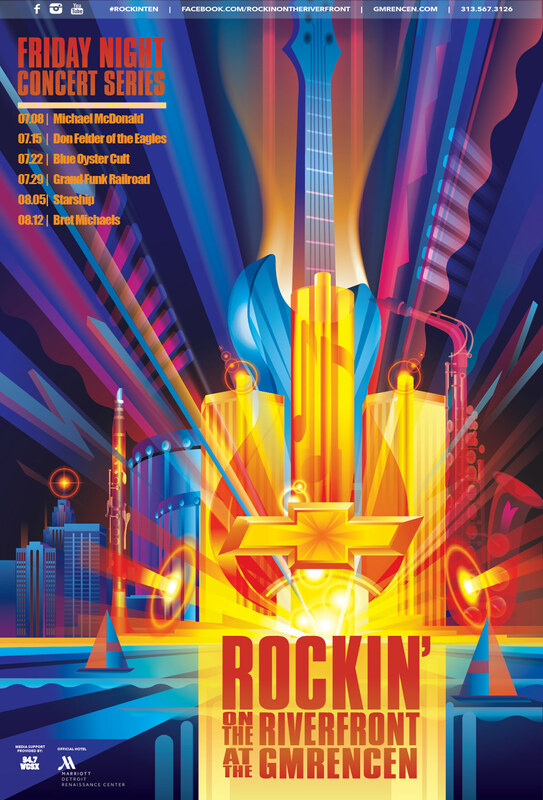 I got a chance to design and illustrate the poster for the 2016 GM REN CEN Rockin on the Riverfront Concert Series-thanks to Gary Short for putting them in touch with me this winter. They are selling copies of the poster at the venue. Its not often I get to design the concept as well as illustrate. Kenneth Stock art directed and designed the type. 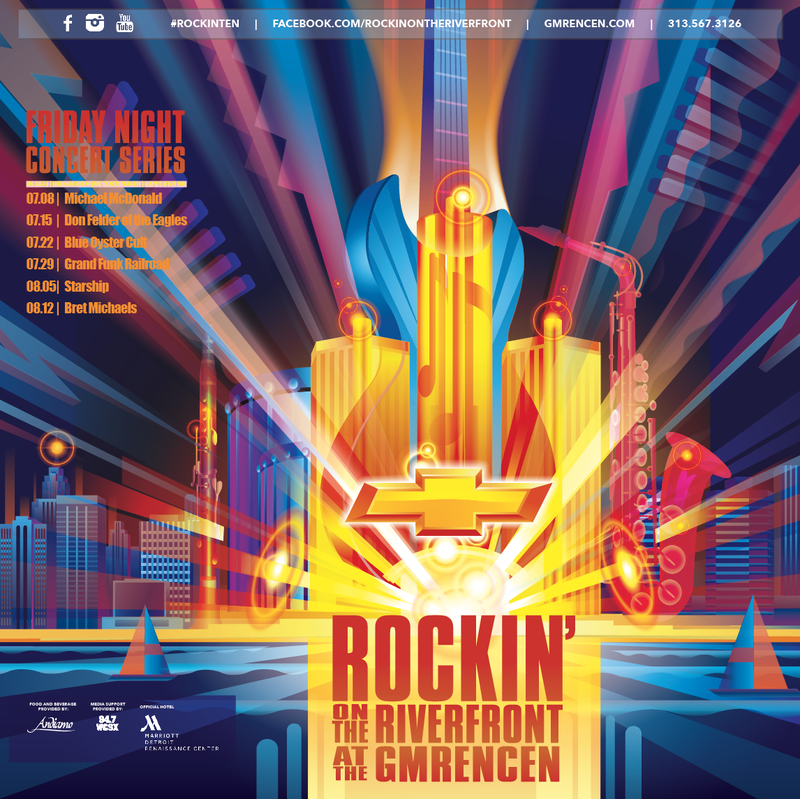 I got a chance to design and illustrate the poster for the 2016 GM RENCEN "Rockin' on the Riverfront" Concert Series. This was a multiple piece project including a poster, banners, and a mailer. 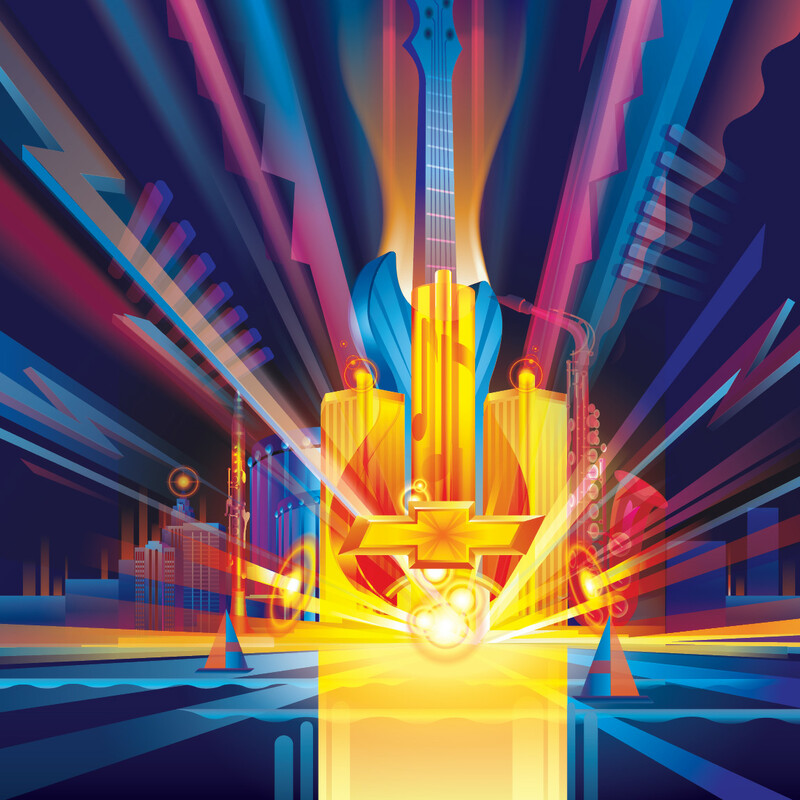 The client OTTO Detroit wanted the posters to be of high quality so as to sell as a collectable item at the venue. 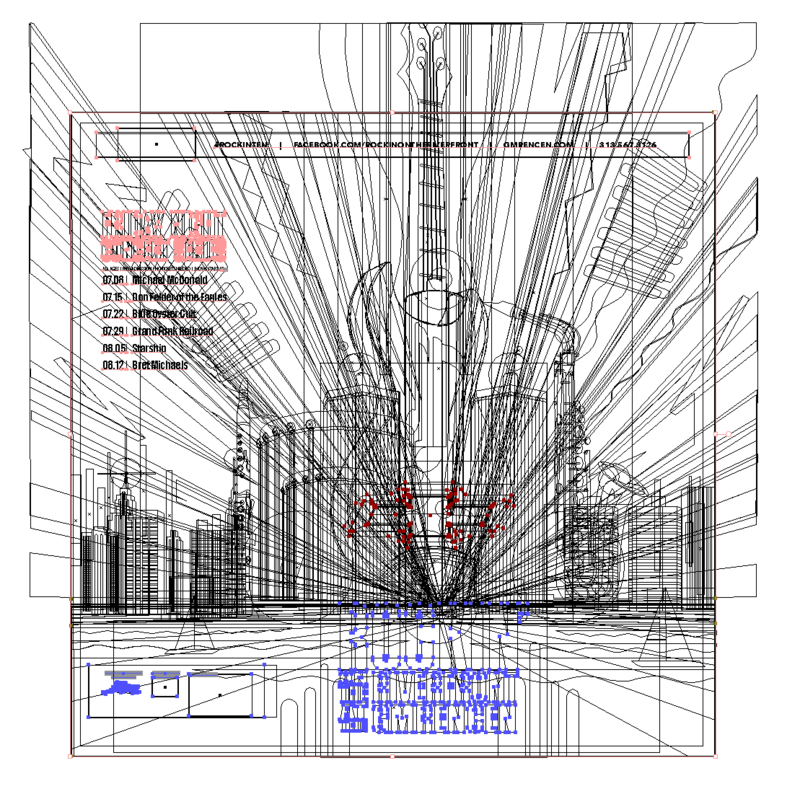 Its not often I get to design the concept as well as illustrate. Kenneth Stock art directed and designed the type.